Marvin Charles mentions in an article published in the Cape Argus and on IOL that with major political parties in a feverish campaign to convince people to register to vote, a survey has shown that more than 4.5 million eligible voters have no intention of registering to vote. The South African Citizens Survey said a significant portion of these people are between the ages of 18 and 24. One third are aged between 18 and 24 and one third between 25 and 34. The highest proportion (63%) is from the lower income groups, with just less than one-half (48%) residing in the major metropolitan areas. Of the provinces, Gauteng has the largest number (30%) of people who don’t intend to register. Citizen Surveys examined whether voters, who are either uncertain of their registration status or are unregistered but intend to register, are facing registration challenges. The results show that 44%, which is 4.6 million eligible voters who intend to register, are facing challenges such as providing proof of address, getting time off work, or getting to the venue to register. Citizen Surveys also examined whether voters, who are either uncertain of their registration status or unregistered but intend to register, are facing registration challenges. The results show that 44% (4.6-million) of eligible voters, who intend to register, are facing challenges such as providing proof of address, getting time off from work, or getting to the registration venue. Roodt said there was little parties could do to woo young voters. “There is not much they can do with the masses. Policy is not going to work because South Africans are not a policy-driven democracy and they don’t have the personality to convince these youngsters to vote,” he said. Professor Amanda Gouws, from the University of Stellenbosch’s political science faculty, said: “I don’t think there is any political party that can offer them what they want. I don’t think they see any alternative party that appeals to them. 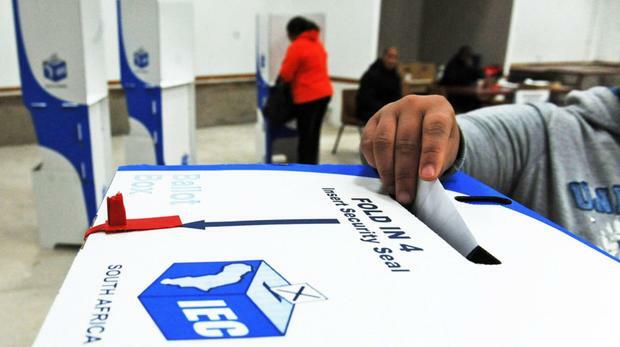 The Independent Electoral Commission said this week it’s all systems go for the final registration drive this weekend before the national and provincial elections expected to be held in May. There are 26 million people on the voters roll – 55% are women and 45% men. DA provincial leader Bonginkosi Madikizela said he was surprised that many youngsters did not understand the value of voting. Madikizela said staying away from the polls was not the solution. Good leader Patricia De Lille said she had seen a trend since 1994 in the decrease of voter turnout. De Lille said that for years voters have been taken for granted. EFF provincial chairperson, Melikhaya Xego, said there was much disappointment among the youth and they had lost hope in the government. “They are tired of being led by a liberation movement. ANC Provincial Secretary Faiz Jacobs said the party was planning to start its campaign this weekend.